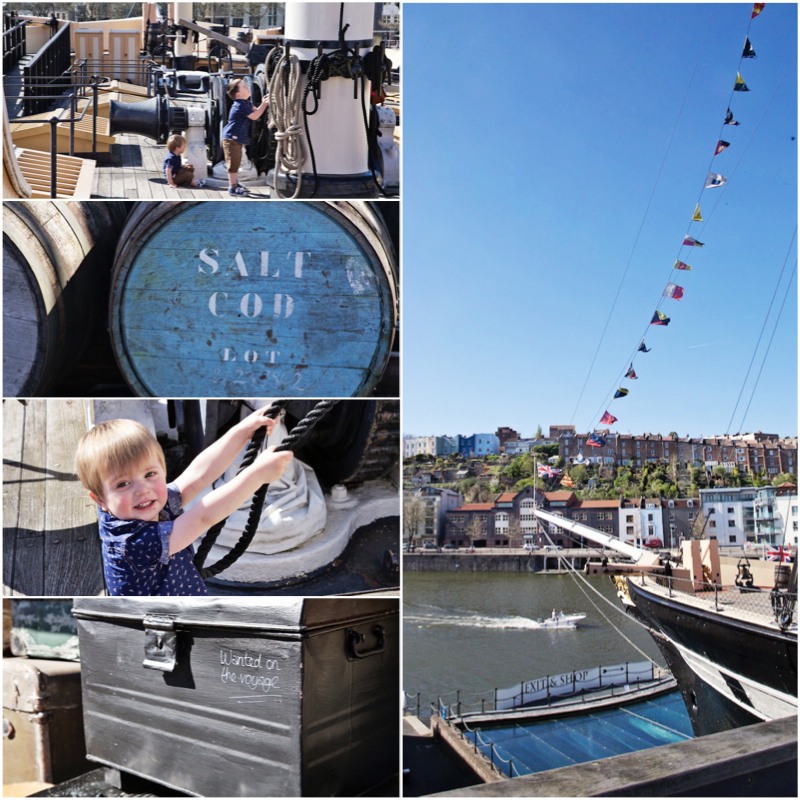 A little while ago, on a glorious Spring day, we were lucky enough to visit the historic dockyard which is home to the magnificent SS Great Britain, for Mums Diary Magazine. Mums Diary is a fantastic local resource to parents across North Somerset and as their resident blogger, it was a great opportunity for the boys to have their first museum experience. After lunch in the adjoining harbour side restaurant, we raced through the ticket office and straight on board. The ship itself is housed in a dry dock that is cleverly made to appear like it is floating. The boys were completely overwhelmed by the scale and size of the ship and we were equally overwhelmed with the imaginative engineering. The ship itself is breathtaking, under the glass water ceiling, you get an eery sense of the power of this enormous vessel and the way you can get so close and feel the texture of the hull makes the experience much more real. Ollie ran around with no sense of fear but Sammy, who at almost 4 is more aware of his surroundings, initially refused to stand near, fearing it would topple over. There is loads to read and interactive learning points, where children can lift porthole covers and discover interesting facts. Our boys enjoyed lifting the covers more than than the learning, but I suspect that is partly because of their age and also down to the level of excitement at the time! After lapping the hull a couple of times we headed back up to the dockyard and into the main museum building with the children's ship's wheel learning tool which encouraged you to read the information through the museum with prompts to look out for and stamps to collect. There is so much to explore and take in. There are videos to watch on a huge projector, ship's wheels to turn, whistles to pull. It's an interactive experience and there is even a photo booth set up if you want a souvenir, professional photograph. The trouble we had, is that Sammy, who is almost 4 was desperate to get on the deck of the ship and it was tricky to keep him focussed on the facts and figures. In hindsight, we would have been better to take them straight on board, explore the ship itself and take the museum tour afterwards, when they would have been more likely to listen and less distracted! All of us adored touring the ship. We played Captain at the ship's wheel, took comedy photos and I lusted after the vintage luggage! It was lovely to see a complete mix of age groups visiting, including several couples relaxing on deck, in the sunshine reading a newspaper! Once below deck you have the chance to see all the rooms on board complete with life like models, sounds and smells. I am convinced the ship's Doctor's cabin has a "medical cabinet" smell to it! Sammy found the life like models a little too real and took a little coaxing to stand by them! They loved running up and down the ballroom, and were particularly fond of the little details like a couple of model rats on a cabin bed! We would definitely recommend a visit to the SS Great Britain, the best thing for us is that the boys are small enough that next time we visit, we have a different experience waiting for us. We perhaps didn't make the most of the museum tour and it will be good for the boys to learn more about the history of the ship, when they are a little older and happier to stop and listen. Thank you to the SS Great Britain for providing our tickets as part of the Mum's Diary review. You can find out more details of how to plan your visit on the SS Great Britain website. Children 4 and under are free and all tickets include a year's unlimited entry (excluding group, school and venue hire tickets). There is a public car park within a minutes walking distance and you can redeem the cost of your parking in the visitor's centre, at the prices shown on the website. We decided to leave our buggy parked up in the dockyard as Ollie loved running around but you could easily take your buggy round with you as there are lifts in both the museum, dry dock and on board the ship itself. 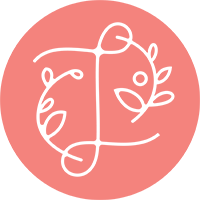 Visit the Mum's Diary Bloggers Network to hear more from our bloggers and join up by emailing info@mums-diary.co.uk. ps This has been an incredible week for my blog, not only am I a Finalist in the BritMums Brilliance in Blogging Awards Photo category, but I have been shortlisted as a Loved by Parents Blogger of the Year! Wowzer! I would love your vote - it takes less than a minute - you'd make my day! Vote HERE.